An interior design classic both inside and outside the home: rugged brick walls. Whether you’re looking for that sturdy loft-look in your living- or bedroom or want to create the illusion of a brick wall outside, the Klimex Ultrastrong Milano tile is the solution. 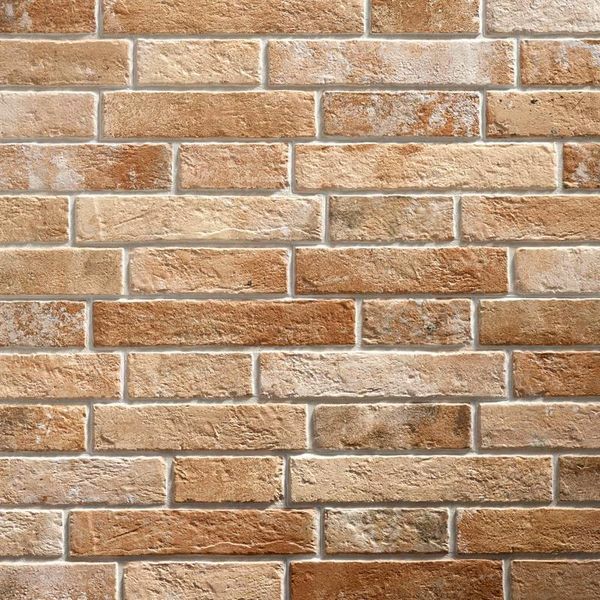 These brick effect panels have the most realistic brick look on the current market, and are suited for the most extreme conditions. 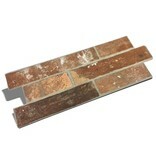 These ceramic panels can resist chemicals, water, different temperatures and are scratch-proof. This makes them perfect for any environment and for any room inside or outside your home, including kitchens and bathrooms. Klimex Ultrastrong Milano brick effect panels are made of high quality European ceramic. The brick look is called Loft Brown Red. 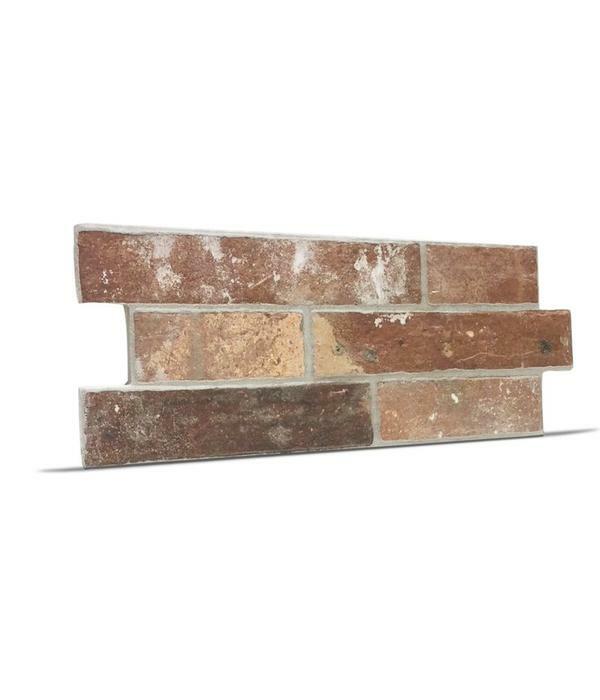 You can hardly tell the difference between this stone veneer by Klimex and an actual brick wall. But there’s actually a big difference in the way you can easily apply these ceramic panels to almost every wall. You don’t need any special tools, just Klimex unicol will do the trick. 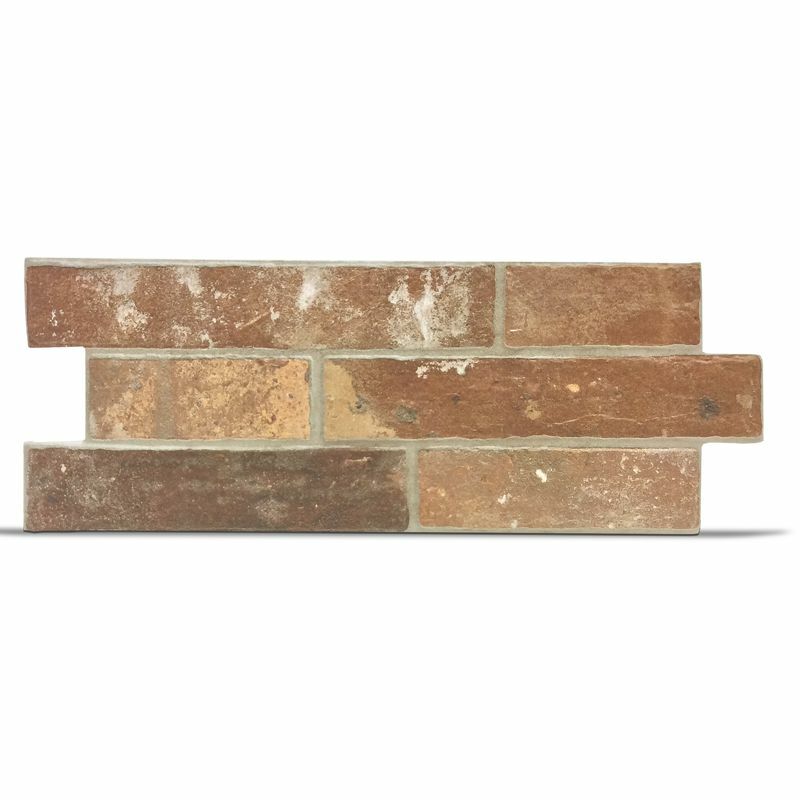 The Ultrastong Milano stone veneers are 100% chemical, moisture and water resistant, so for example using them inside your walk-in shower is no problem at all. 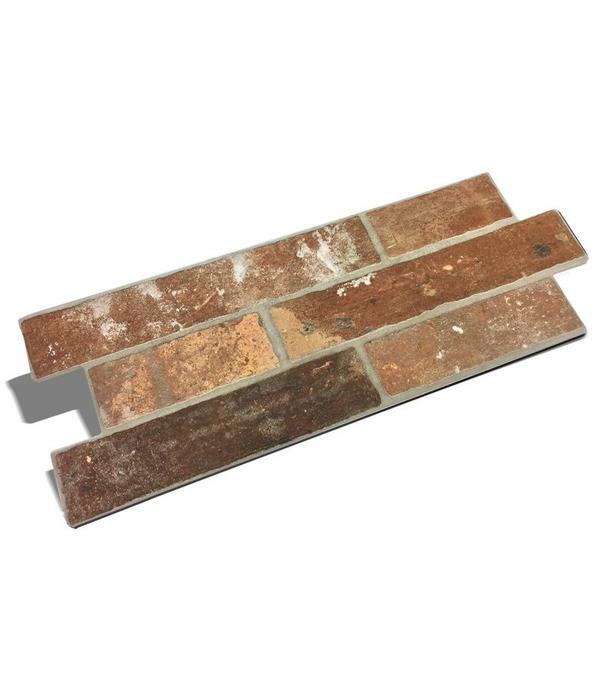 You can even use these ceramic brick effect panels outside, because they are also 100% frost resistant and will show no discolouration when exposed to UV light. 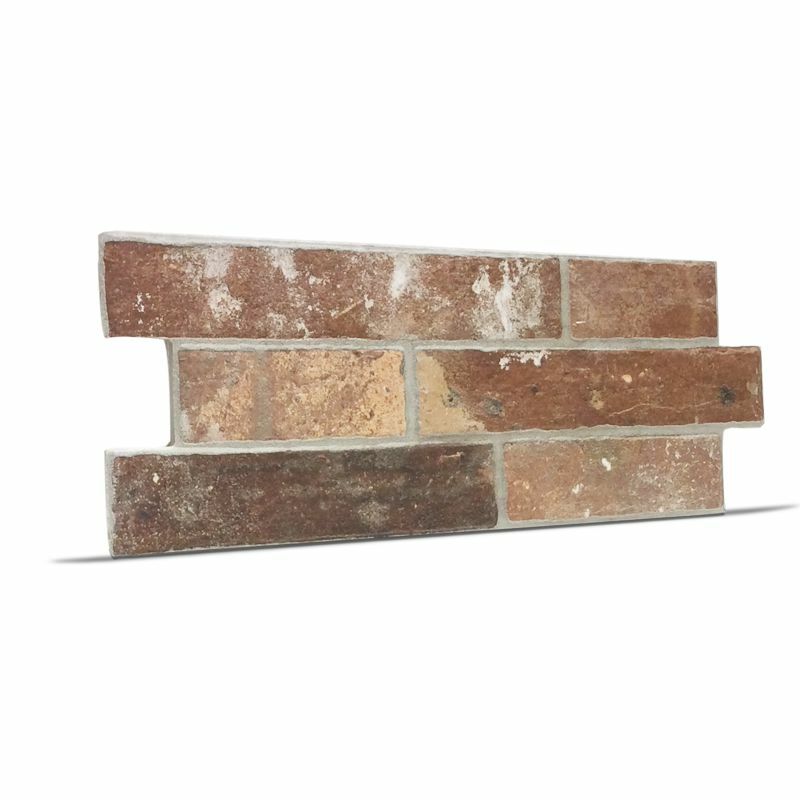 In a rugged, industrial home this brick veneer will be a true eyecatcher. Cover part of a wall or even an entire wall in the Milano tiles and create a sturdy, cool look, like in an American loft. The warm colour of these Loft Brown Red panels will also provide a pleasant atmosphere to your living space. 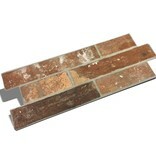 Want to try something new in your bathroom, but not looking for a standard bathroom tile? The Klimex Ultrastrong Milano is the way to go. Or imagine a rustic kitchen with a big wooden table. 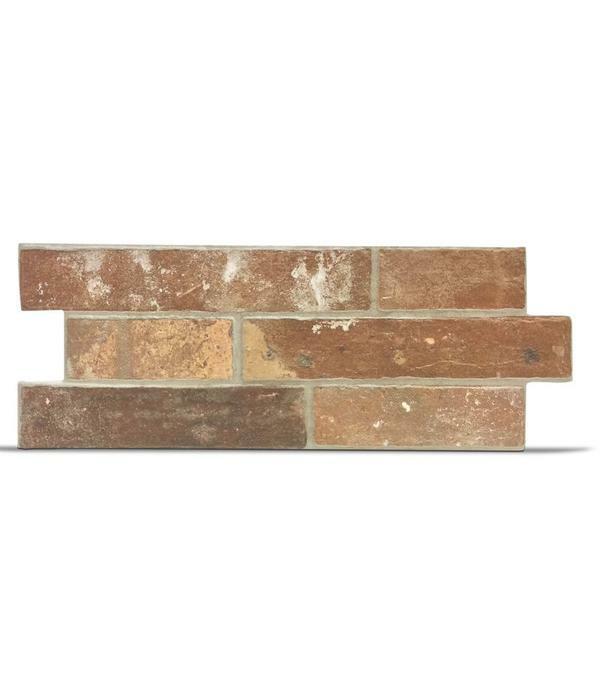 These brick veneers will complete the look for you. You can even use them outside to create a brick accent in your garden. Not into the brick look? The Klimex Ultrastrong stone veneers are also available in many different colours and textures.